Referred to as Nashville’s “best kept secret”, and located just under 15 miles northeast of Nashville, you’ll find the charming and historic neighborhood of Old Hickory, Tennessee. Bordered by the Cumberland River to the east, with easy access to State Route 45, Old Hickory homes for sale provide owners with the best that rural living has to offer. Included below are homes for sale in Old Hickory. If you would like more information on any of these Old Hickory homes for sale, just click the "Request More Information" button when viewing the details of that property. We can provide you with disclosures, past sales history, dates and prices of homes recently sold nearby, and more. And, if you haven't already, be sure to register for a free account so that you can receive email alerts whenever new Old Hickory homes for sale come on the market. Old Hickory was originally built as a factory town to house the world’s largest gunpowder plant and its workers during World War I. 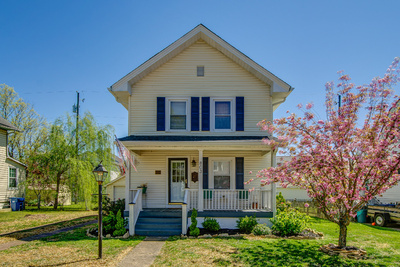 As such, a lot of the homes on the Old Hickory real estate market are remnants of this era that have been repaired, renovated and modernized. Home buyers will find everything from historic bungalows to large, modern estate homes in this community, all set against the gorgeous backdrop of the Cumberland River.